Water is essential to life. The average person cannot go more than three to five days without consuming water in some form be it actual water, other liquids, or in hydrating foods like fruit. Your body uses water to regulate body temperature and keep your skin, hair, and organs moist. Water is also the primary component of blood, spinal fluid, intercellular fluid, and the fluid that cushions your joints; it is also a medium for chemical reactions inside your body. In fact, there isn’t a single organ or body process in which water does not play a part. Water is the most important element in our lives, second only to air. This is reason that clean water is a necessity for everyone. A majority of the US relies either on municipal water or groundwater wells for its daily water intake. Municipal water is treated and filtered to remove as many contaminants as possible. Often this treatment requires the use of chlorine to kill dangerous organisms. While the chlorine only appears in trace amounts once it reaches your tap, it can often leave a metallic, chlorinated taste to the water. Also, although municipal water systems are vigilant in detecting and filtering dangerous organisms, it’s still possible for some to make it past the filtration process. Well or cistern water may or may not be treated depending on who owns the well, and who has access. For example, someone who accesses a private well on his own property might not think to treat the water before use. On the other hand, people who share a well might have one central person or agency that treats the well, or they might take turns. If the water is in a cistern, it means it’s either collected from rainwater, or a water company periodically comes and fills the cistern for a fee. If it’s well water, it means it comes from an aquifer underground that is either fed through water seeping through the soil, or from a nearby river or stream. The issue with well and cisterns is that, without proper treatment, there could be dangerous organisms growing in the water, or that are introduced from farm and industrial runoff. This is not to say that these water sources are inherently unsafe, only that there may not be a central body charged with ensuring the water is properly treated and filtered before it enters your taps. Whether you have municipal water or a cistern/well setup, you can take extra steps to ensure that your water is as clean as can be by installing a filtration system. There are several types of water filtration options, and the type you use depends on your basic needs. These systems are for people who can’t install a water treatment system in their homes, or wish to filter water outside of home – like the break room at work or the water fountains at the park. Faucet-mount systems are for people who care about having the cleanest possible drinking water, but are not a concerned about their bathing water. These systems are also good for people who live in situations where they can’t install a whole-house filter, such as apartment dwellers and renters. Whole house systems are for people who care about having the cleanest possible water for all their needs. This system is also good for people who have water that may appear cloudy, or contain mineral sediments that can stain clothing or damage your plumbing. You can find a water filtration system in a variety of places. · You can also find faucet-mount systems, filtered water pitchers, and even water bottle inserts at grocery and drug stores. These systems are often easy to install, but may not provide level of protection that you could get from a water conditioning company. 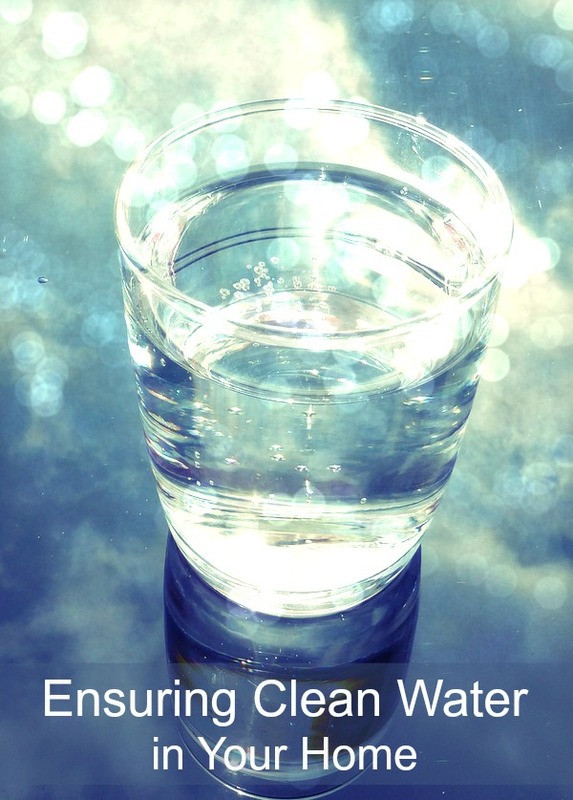 We used to live on a farm and had well water and it was the best tasting water I have ever had. We didn’t even think about using a water filter and if we had I can only imagine what the water would have tasted like.